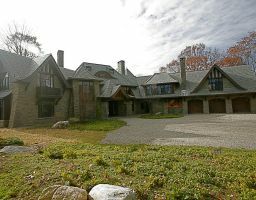 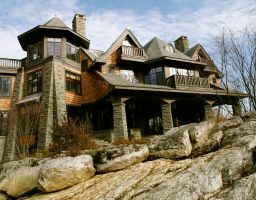 Set on a rock outcropping at the edge of the woods overlooking a large horse farm, the mandate for this home was simple: Create a structure of mass and substance in the spirit of a castle. 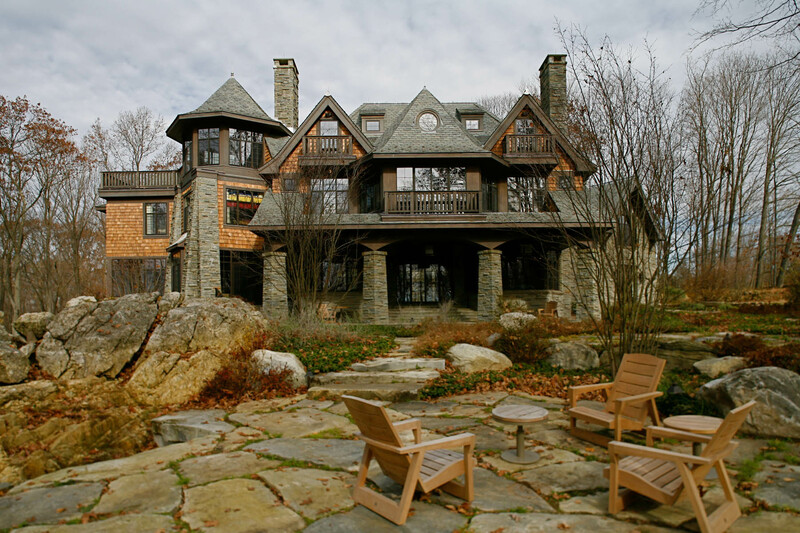 This is expressed in the flared stone buttresses, half and full gable timberwork, heavy slate roof, and stone coursing inspired by stonework found at Frank Lloyd Wright’s Fallingwater. 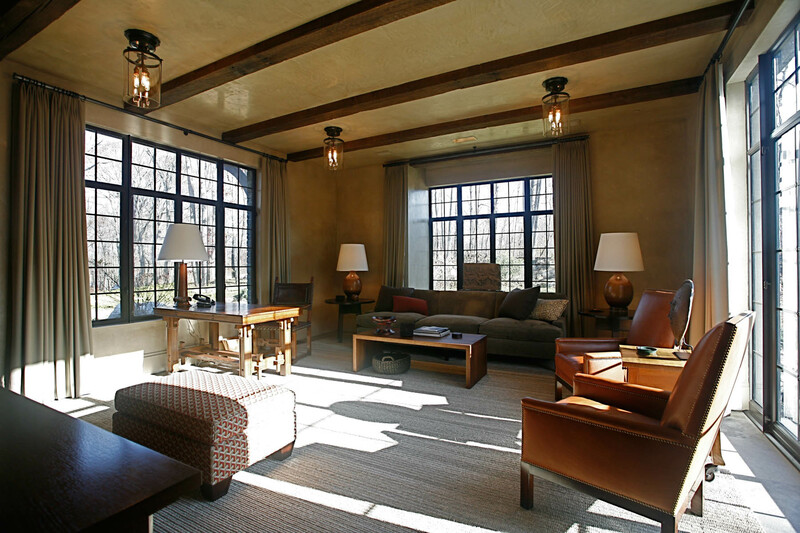 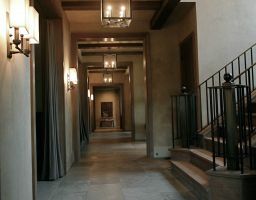 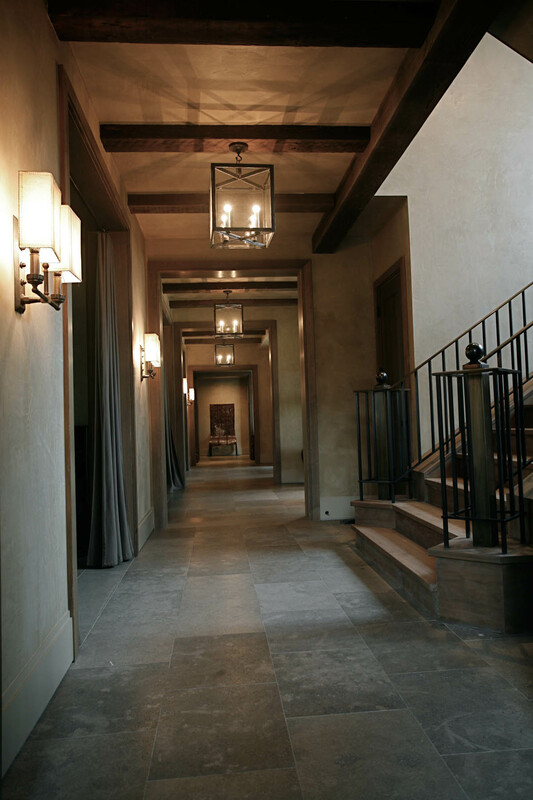 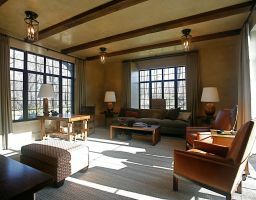 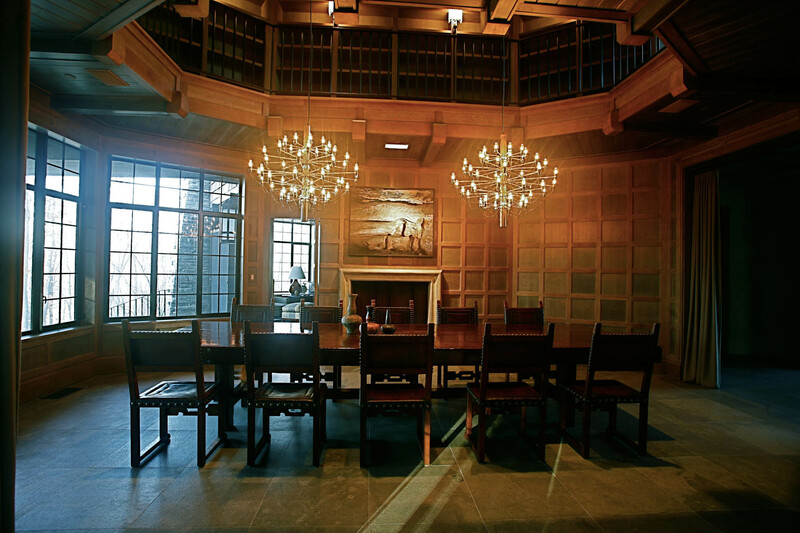 The doors and windows are steel, and the interior finishes are limestone floors and Venetian plaster walls. 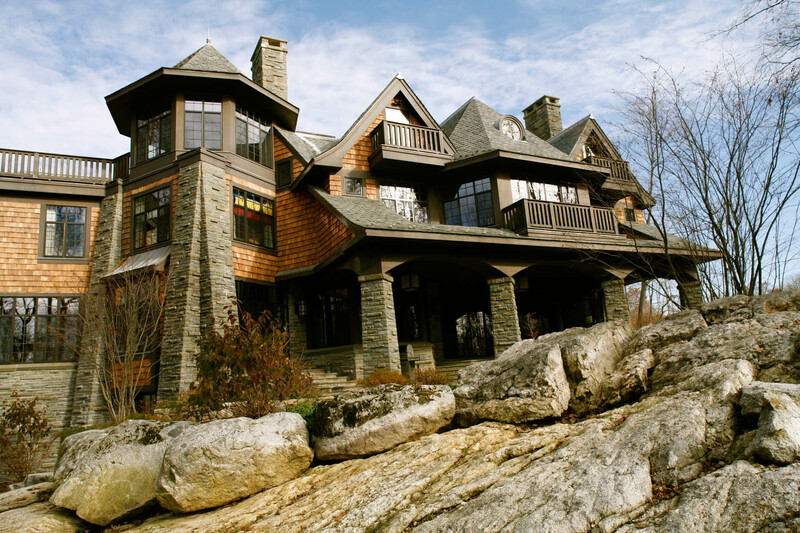 This home is heated and cooled by a state of the art geothermal HVAC plant. 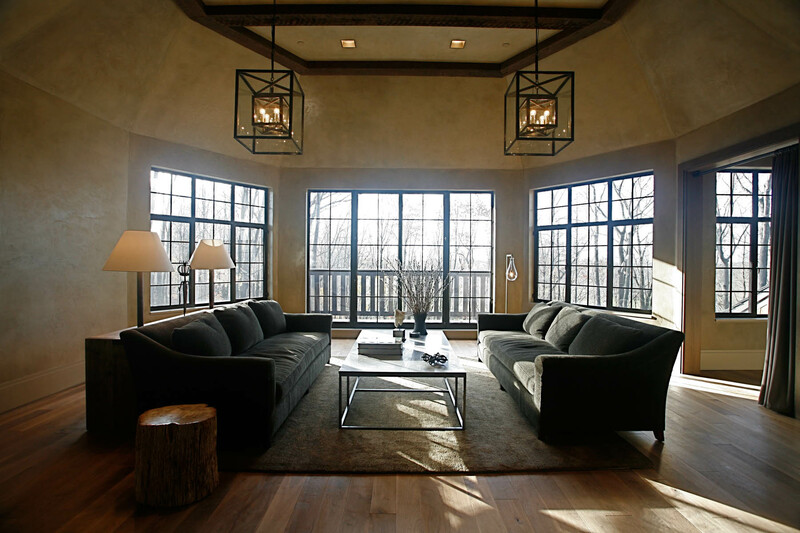 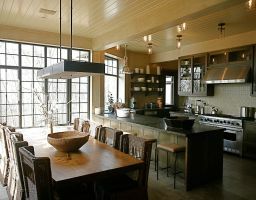 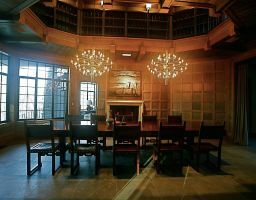 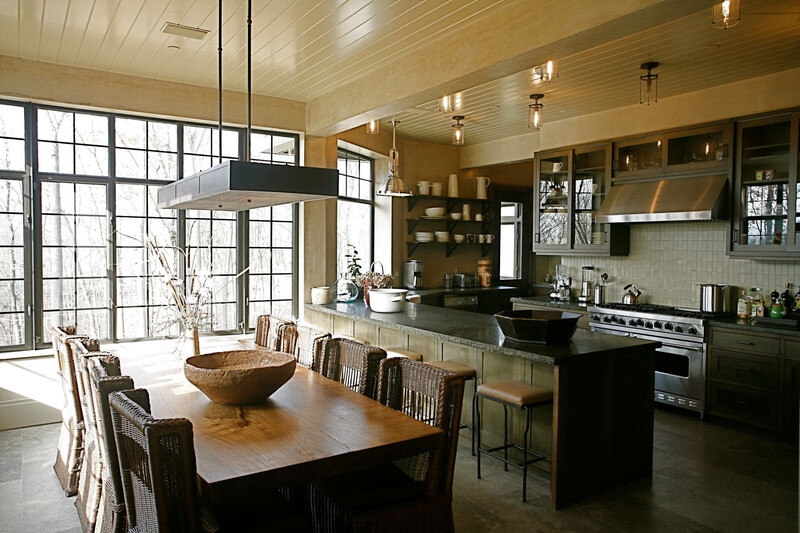 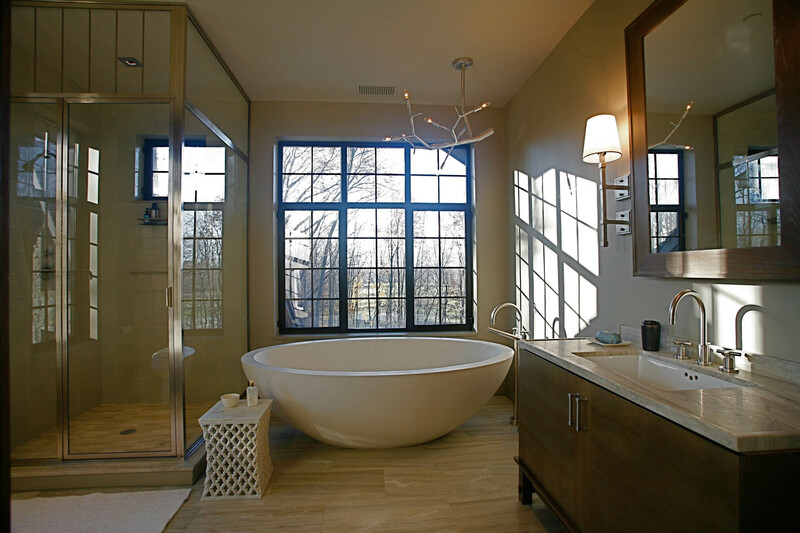 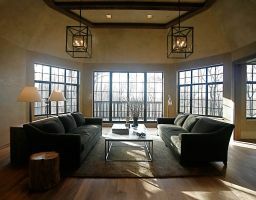 Interior design by Glenn Gissler Design, Inc.